So as you may have read( or not, thats okay :P ), I did do blog designs, but then stopped. I took sometime to really learn my stuff and also I started school so I don't have time to do a lot of designing. But, I decided "Hey, why not do just one more and make it fun?! 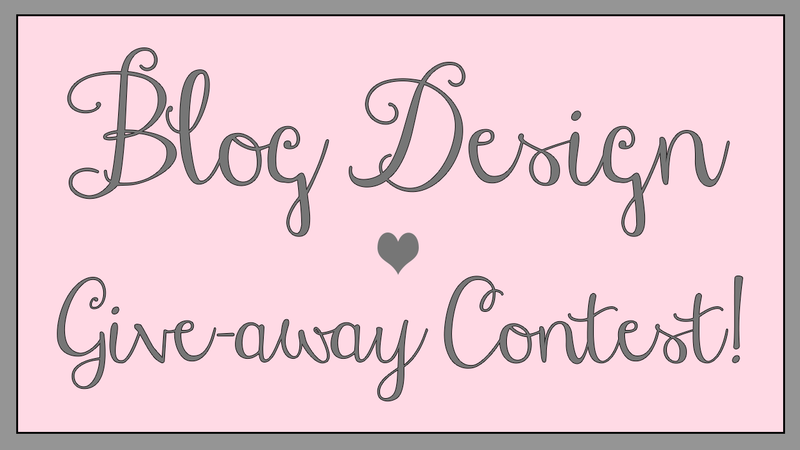 "I really do miss designing blogs for all of you lovely people so why not?! so here it goes!! > Leave me your blog URL so I can see your blog!! 2. I'll pick 2 blogs that REALLY need a makeover!! Also, I hope you like something CRAZY( when I say crazy I mean something fun and different, not weird crazy haha!) for your design because I've been feeling REALLY creative lately!! 3. If I do pick YOU then I will then ask you what it is that you are looking for in your blog design!! > Colors, Background Colors, Fonts, Social Media Buttons, "Grab a Button"
4. If you do get picked, and you receive your blog design from me, all I need is a post saying who made your blog design, my links and THATS IT!! This is something made to be FUN, so if you don't get picked, and your blog does need help, I might email you back in the summer when I start designing freely so don't get mad!! 5. Let's have fun with this, I want to make a crazy cool blog design( but also something you like) ! So I hope you enter!!! Blogger.com only. I entered! Good luck to everyone. Vlog 2 | UCarnival Indian Fashion Fiesta!